Why do I need a Medicare supplemental policy? Which Medicare supplement insurance plan is best for me? How do I enroll in a Medicare supplement insurance plan? Should I get a Medicare Advantage plan or a Medicare supplement? Medicare was never designed to cover 100% of your medical care. Although Medicare costs have risen almost every year since the federal program’s inception in 1965, Medicare benefits have declined over the years in many areas. As a result, there are real gaps in Medicare coverage and, therefore, a need for Medicare supplement insurance plans (also called Medigap insurance). While Original Medicare covers most of the costs participating providers and doctors charge for medically necessary health care, gaps in Medicare coverage will be evident as early as your first day in the hospital. You’ll be responsible for the Medicare Part A deductible, which in some cases you can be obligated to pay several times a year. If that’s not enough, you’ll be responsible for the Medicare Part B (medical) deductible whether you’re in the hospital, at the clinic, or even in your physician’s office—and that’s just the beginning. Medicare doesn’t approve every procedure, and you’ll be responsible for the remaining 20 percent coinsurance for your medical (Part B) charges. Statistically, Medicare beneficiaries spend most of their time with their physician in an office, clinic, or other outpatient facility. This has increased the need for Medicare supplement insurance. This isn’t to say Medicare coverage can’t be a financial lifesaver because it can. But the cost of services and supplies that Medicare doesn’t cover can add up quickly if illness strikes. Obviously, everyone’s situation is different and this isn’t a one-size-fits-all proposition. To answer the question honestly and ethically would involve MedicareMall’s making a comprehensive evaluation of your individual case. The Medicare specialists here at MedicareMall, however, normally see about 90% of our clients choose Medigap Plan F. The reason is that most Medicare recipients are on fixed incomes and don’t want any surprises when it comes to their claims. Medicare Supplement Insurance Plan F will pick up where Original Medicare leaves off and pay the remainder of your balance due. 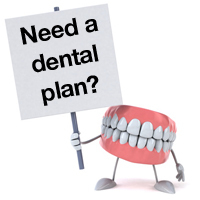 With Plan F you can use any medical provider (doctor, hospital, or medical facility) that accepts Medicare, show your red, white, and blue Medicare card along with your Medigap Plan F health insurance card, and walk out not owing a single penny. Because it’s much easier to budget a fixed single premium each month than to pay unexpected health care costs, Medigap Plan F makes sense for those on fixed incomes. Though there’s no single correct way to enroll, there is one way to get that Medigap policy with little or no stress. When you speak to a Medicare specialist at MedicareMall.com he or she will take extra steps that are unheard of in the industry to make sure you’re treated with respect. Then your agent will complete 90% of the enrollment process for you. That’s why MedicareMall is one of the largest and most trusted enrollment centers in the United States. In half an hour to 45 minutes you can be enrolled in the Medicare supplement plan and Medicare prescription drug plan of your choice. Let MedicareMall work for you and show you just how simple it is to enroll in a new Medicare supplement plan. This is a matter of personal preference. Most Medicare Advantage plans offer benefits similar to those offered by Medicare supplement insurance plans, but limit your choice of doctors to those in the Medicare Advantage plan’s preferred network. As you’ve probably gathered by now, there isn’t one. Medigap is another term for Medicare supplement insurance. As a result, we use these terms interchangeably throughout the MedicareMall website. That’s a lot to remember! It’s important to know the reasons you need Medigap coverage, but it’s equally important to compare plans and rates to make sure you find the policy that’s best for you. MedicareMall is the expert at shopping the market on your behalf, and we’re ready to find the Medicare supplement plan that will work for you. Contact us now and we’ll guide you through the Medicare maze to the place you want to be.